Whether you’re a singer, an instrumentalist, or a producer looking to collaborate with other musicians, we’re committed to giving you all the tools you need to make your dream live performance a reality! Who you learn from matters. Michael Fraser brings more than a decade of experience helping musicians excel at live performance. Instant, lifetime access to the entire course. 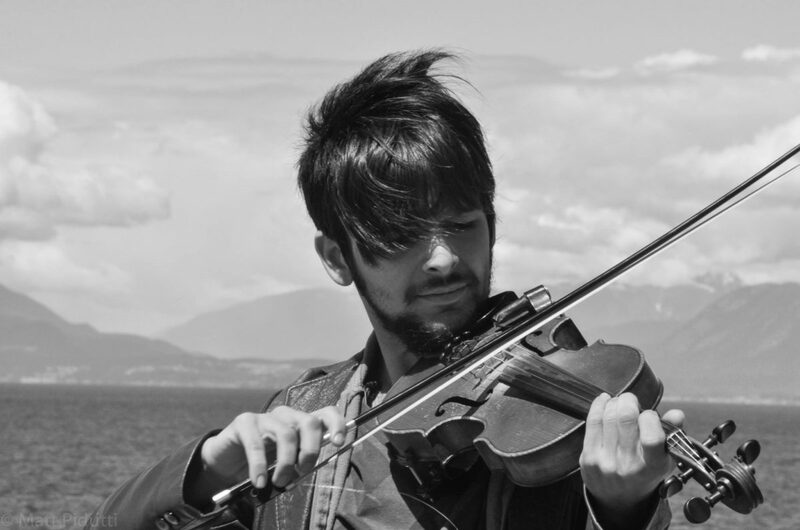 For several years now, Michael has been teaching violin, DJing, and Ableton Live at Prussin Music in Vancouver, B.C., at the School of Remix, and via private lessons. Michael has helped many of his students discover and develop their own musical performances. Michael’s teaching method is a combination of traditional instruction and self-directed learning. 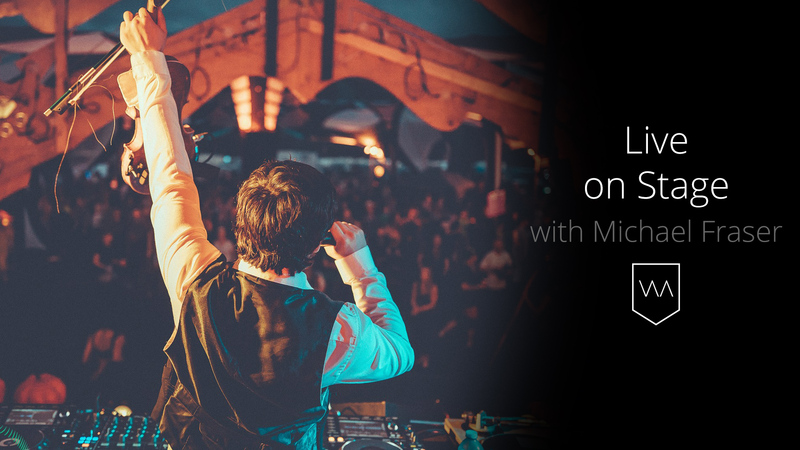 As a performer, Michael has had the pleasure of performing in countries all over the world, and graced the stage at festivals such as Shambhala, Astral Harvest and Atmosphere. This course will give you every tool you need so you can jam with your instrument seamlessly while performing Live, either on-stage or while recording in the studio, and with other musicians. Your course includes Michael’s personal Ableton Live performance template & Michael's build up ready effects Racks. Michael will teach you all the tools necessary for incorporating live instruments into an Ableton Live performance during a LIVE 4 hour interactive webinar session! Eliminating unnecessary noise using a gate. How to turn your live performance into a MIDI track that can be used with any virtual instrument! Our rock solid guarantee ensures your satisfaction. Refund or exchange this course for up to 60 days. Try it out, you have nothing to lose! Your course will work on any device using a modern browser. Our videos and site are designed with mobile in mind. Watch and learn on the go from anywhere. Your course will never expire. Lifetime access ensures you can watch at your own place, on your own time with no rush. How long can I access this course and the webinar video recording? You have access lifetime access to this course and the video recording. Are there downloads included in this course? How do I register for the webinar after purchasing? We offer our interactive webinar's via a third-party platform called Webinar Jam. After purchasing the course you will be instructed on how to do this on the course page, in your My Library area. On this course page you will find the registration link on how to register for the webinars. If you are intending to attend the webinar you must follow these registration instructions to receive email reminders and reserve your seat for the webinar. We want you to be as excited about your course as we are. If for any reason you’re not 100% happy with it, we offer a no-hassle, no-BS, super easy 60 day satisfaction guarantee. Any time within the first 60 days after purchase we will refund your money. What if I have trouble viewing the streaming video? Important: To get the best experience, we highly recommend you use the most updated version of Google’s free Chrome browser. This functions best with our streaming video players: Google Chrome. Still having problems? Hit us up at support. Can I download the video recording? No, but you have full access to the recording after signing up. You can also access and view the video recording from virtually any mobile device. Yes, a broadband internet connection and computer, smartphone or tablet are required to watch the videos and download the course materials. Our support team is here to answer any questions you have. Just hit us up and we’ll get back to you. Your purchase is totally secure & encrypted. Connect with us on Facebook, YouTube and sign up for our free email newsletter.